You enter your grow room and notice your plants looking a little sad and undernourished — almost like they aren’t getting enough nutrients. You check for all the regular quick fixes. They’re adequately watered, but not overwatered. Your feeding schedule ensures all your nutrient levels are all ideal. The pH is also in the ideal range. No visible pests, nor signs of spider mites. So finally, you check the roots. And it’s your worst fear. You have a root aphid infestation. Root aphids destroy crops by leaching nutrients from the plants’ roots and leaving lesions there that are unable to heal due to an enzyme the little jerks leave behind. These nasty, pervasive pests are an issue for cannabis growers all over North America and beyond. But in order to prevent, identify and treat root aphids, it helps to first know a bit about them. What Is The Root Aphid And What Can It Do To Your Crop? The root aphid has been an enemy of horticulturists for more than a century. Before terrorizing cannabis growers, they decimated the crops of vineyards in France, almost destroying the wine industry in an incident known as the Great French Wine Blight. 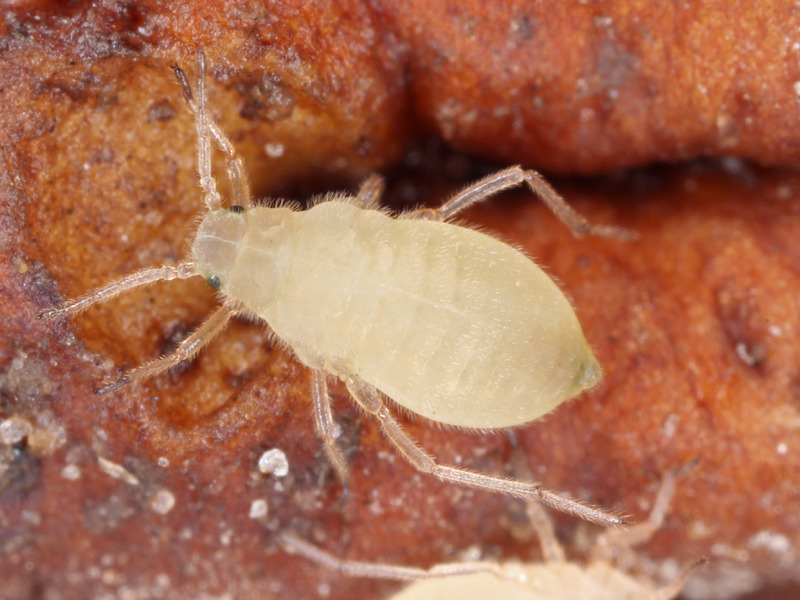 Root aphids, part of the phylloxera family of bugs, are native to the eastern and southeastern United States, and were first found in California in the 1850s, according to “Grape Phylloxera”, published by Oregon State University. In 1860, American grapevines were exported to France to help fight powdery mildew, and root aphids hitched a ride with them. This led to two-thirds of the destruction of Vitis vinifera vineyards in Europe by 1900. Cannabis growers have also become accustomed to this infamous pest in recent years. Part of what makes root aphids so prevalent is their prolific life cycle. In the spring, as soil temperature rises. nymphs begin feeding on root sap and mature to adults in 15 to 20 days. The spring and summer feeding adults, which are strictly females, reproduce without male fertilization. One female can produce 100 to 150 eggs over a period of approximately 45 days. New nymphs move to other root areas, begin feeding and cause gall formation. When mature, they will start producing the next generation of eggs. Five to nine overlapping generations can occur during a growing season. In September and October, newly hatched first instar nymphs begin hibernation for the winter. 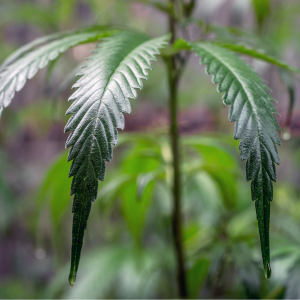 With such a diverse and fertile reproductive cycle, it’s no wonder cannabis growers have such a difficult time eradicating these pests. Ants can carry root aphids from drained plants to healthy, uncolonized ones. So, how do you know if you have root aphids? After you’ve ruled out all other possibilities that may be making your plants look unhealthy, you can look for some telltale signs that root aphids are in fact the cause of your problem. 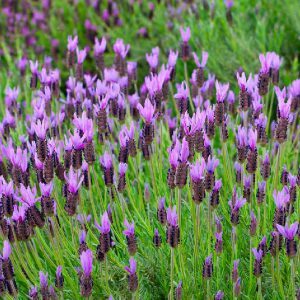 Firstly, the plants themselves will look like they need feeding, with small flowers and stunted growth. 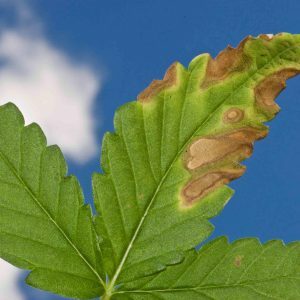 They’ll also show signs similar to magnesium and iron deficiencies, such as yellow leaves, because root aphids are in fact sucking these nutrients from your plants. Once you’ve ruled out other possible causes above ground, it’s time to inspect the roots. 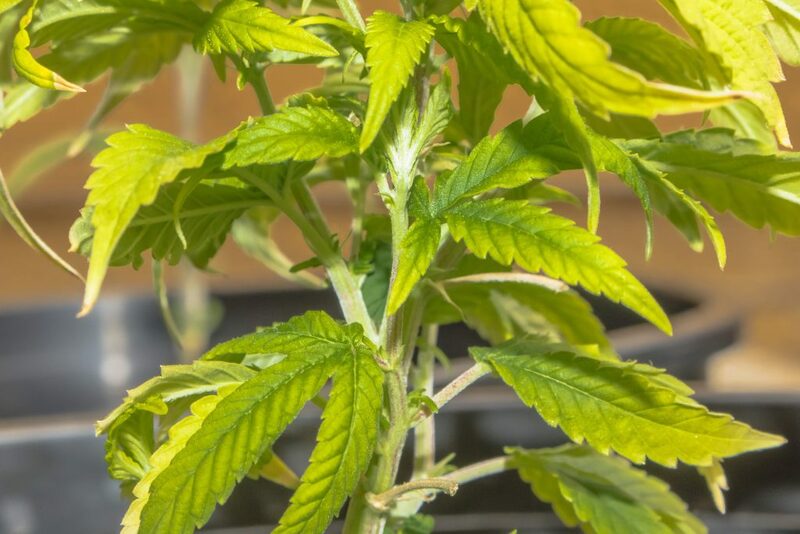 If root aphids are to blame, infected cannabis roots become yellow, swollen and hard. Once the plants have been damaged, they become vulnerable to other issues, such as fungus and root rot. The pesky little devils themselves can change form, which can make them easily confused with other bugs, like fungus gnats, and somewhat difficult to identify. Root aphids measure about 1 mm, are pear-shaped, and have been observed in shades of white, yellow, green, brown and orange. They tend to camouflage with whichever roots they’re feeding off, so cannabis aphids tend to be in the white to tan to brown color range. Root aphids do grow wings during their life cycle, which is when they start to resemble fungus gnats. To tell the two apart, remember that root aphids are shorter, stockier, with shorter legs. The wings of root aphids are longer and slenderer than that of fungus gnats, who also have longer legs and rounder wings than root aphids. One way to help detect root aphids, at least in their flying form, is to use yellow sticky tape. While yellow sticky tape doesn’t take care of enough root aphids to put much of a dent in their population, it can help you identify them, and if you use gridded tape, it can also help indicate volume. So, bottom line, if you inspect your sad plants and find unhealthy roots swarming with little bugs, then you probably have a root aphid infestation. Plants that are suffering a root aphid infestation will display yellow leaves. The best way to deal with root aphids is to never get them in the first place! The nasty little suckers are so difficult to get rid of, preventing them altogether is the ideal scenario. If you’re an outdoor grower, there is no surefire way to completely prevent root aphids. Nature will do what nature pleases. You can, however, use some of these methods listed below, but the root aphids will likely reside on nearby plants and come back again. So, growing indoors is the only way to really prevent root aphids. Seal your grow room completely. Make sure your grow equipment, and every crevice and wall, is sterile. Root aphids like to lay eggs in walls, which can then remain dormant over the winter. So, you can be free from root aphids for months — then those little suckers will hatch and infest your plants, seemingly out of nowhere. Avoid using unknown, nonsterile soil or grow medium. Source your soil carefully! Ask whoever sells you your soil if they know of any brands that have been infected with root aphids. Root drench fresh clones with organic pesticides. Introduce parasitic wasps or ladybugs. They’ll eat any root aphids living on the surface. Keep household pets out of your grow! They can have all kinds of critters on them, including root aphids. Use beneficial nematodes in the soil. These naturally occurring, microscopic roundworms are a nontoxic, safe prevention method. 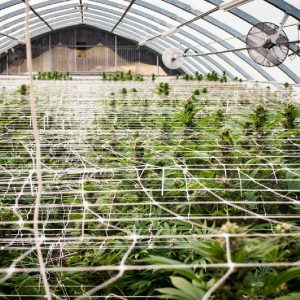 Don’t overwater your cannabis crop! Root aphids seem to like moist soil. Pyrethrum concentrates, which are extracted from chrysanthemum, can be an effective organic pesticide to help control and kill root aphids when root balls are submerged in a pyrethrum solution. Rosemary oil and lemongrass oil are organic, plant-based pesticides that can be effective at prevention and also as a light treatment for root aphids. Azadirachtin, which is extracted from neem seed kernels, is another plant-based pesticide option that has been proven effective in preventing and even treating small infestations of phylloxera. Make sure you stay vigilant about maintaining the cleanliness of your pots if using rockwool and coco coir, mediums that root aphids seem to prefer. Use soil and amend it with sand and diatomaceous earth. While this method will not treat infestations, it can help prevent them. Bti (bacillus thuringiensis israelensis) larvicide can be put in your water reservoir to help kill root aphids at the larva stage when watering. Once you face the awfully reality of a full-fledged root aphid infestation in your cannabis crop, getting control of it can be a struggle. The best way to be rid of a root aphid infestation is to ditch all your plants and genetics after harvest. Starting from scratch isn’t ideal, but neither is having a repeated root aphid infestation every grow season. 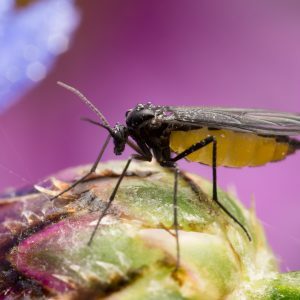 If you catch the bugs early enough, there are a few methods that will help keep root aphid populations down, or possibly even eradicate them, while not injuring your roots beyond repair. Citric acid-based pesticides: A nontoxic, organic, effective, safe solution to root aphids. Beauveria bassiana: An entomopathogenic fungus, meaning that it acts as a parasite on various arthropods, including root aphids. It occurs naturally in soil, and can be found in commercial pesticides. Hydrogen peroxide: Can be used in soil in small amounts to help treat root aphids. But be careful to not overdo it because hydrogen peroxide can be harmful to plants, and it can also kill other beneficial microbes in soil. 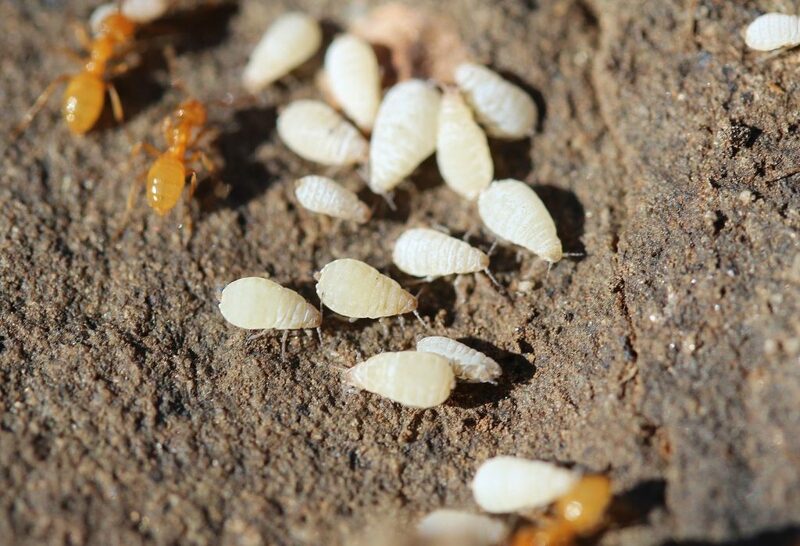 As far as pests go, root aphids are among the worst. 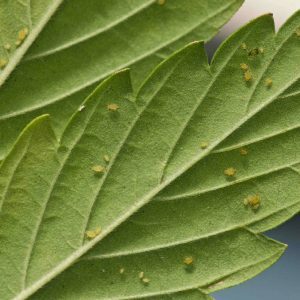 Nothing kills a cannabis grower’s buzz quite like discovering a root aphid infestation. Luckily, we’ve given you plenty of preventative steps to take to stop or treat a root aphid infestation once discovered. Whatever you do, don’t ignore the problem, and take action quickly. Because one thing is for sure, left untreated, root aphids will not go away on their own.